Twitter CEO and founder Jack Dorsey received a salary of just $1.40 in 2018. No, you can’t even get two things at a dollar store for that. Dorsey’s wage was revealed this week in a company filing with the U.S. Securities and Exchange Commission, which also showed that he has declined almost all compensation and benefits since he returned as CEO of Twitter in 2015 after leaving the position in 2008, two years after the company launched. “As a testament to his commitment to and belief in Twitter’s long-term value creation potential, our CEO, Jack Dorsey, declined all compensation and benefits for 2015, 2016 and 2017, and in 2018 he declined all compensation and benefits other than a salary of $1.40,” it says in the filing. The paltry amount almost certainly relates to the 140-character limit that Twitter used to have before increasing it to 280 characters in 2017. Whether that means Dorsey is on the verge of seeing his pay double to a hefty $2.80 in 2019 remains to be seen. Still, he can also make use of the $2.75 annual salary he receives from Square, the payments company that he also leads. Incidentally, that figure relates to the 2.75% the company receives per swiped transaction. Of course, the man at the top of Twitter isn’t short of a few bucks, as he can always to turn to his shares and company perks when he’s spent the entirety of his combined $4.15 annual salary. Declining a fat paycheck is largely a symbolic gesture, providing a way for Dorsey to communicate to his team his belief in the potential of the business as the value of the shares that he cashes in will be linked to how the company is doing. In an article posted last December, Forbes reported that toward the end of 2018, Dorsey sold 1.7 million of his shares in Square, netting him almost $80 million after estimated taxes. It added that Dorsey’s net worth at that time stood at around $4.7 billion, with his 61 million Square shares accounting for $3.9 billion of that figure. 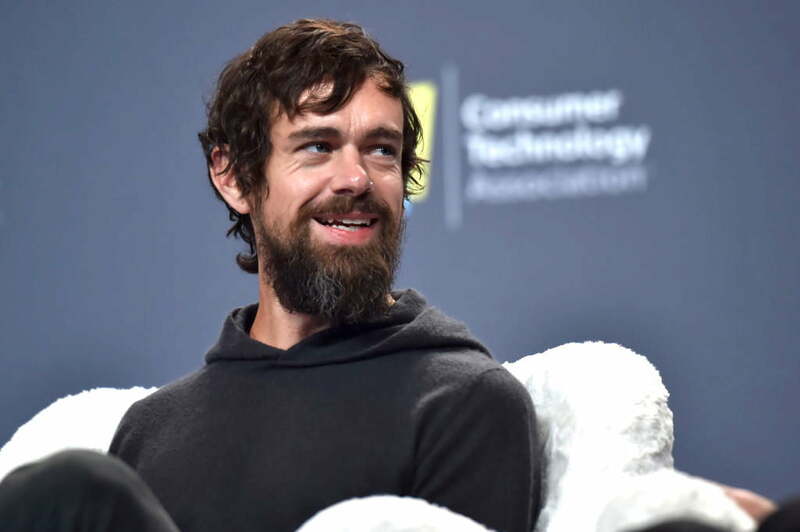 Dorsey’s stake in Twitter is reportedly worth around $600 million, though in 2018 he left his shares in the social media company untouched. As Forbes noted, Jack Dorsey is not the only company chief to forgo a salary, with other Silicon Valley tech bosses famous for doing the same. Facebook’s Mark Zuckerberg, for example, along with Google’s Larry Page and Sergey Brin, only take a $1 paycheck each year, with compensation linked instead to the performance of the company.